The GLA has published for consultation a draft City Fringe Opportunity Area Planning Framework. This will become Supplementary Planning Guidance (SPG) when approved. Consultations close on Friday 13 February. 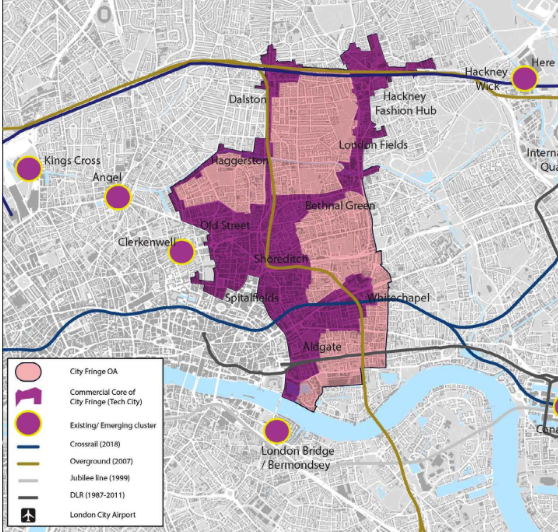 Download documents at https://www.london.gov.uk/priorities/planning/consultations/city-fringe-opportunity-area-planning-framework The area now covered by this “city fringe” term is much larger than in earlier usage and surprises many people.